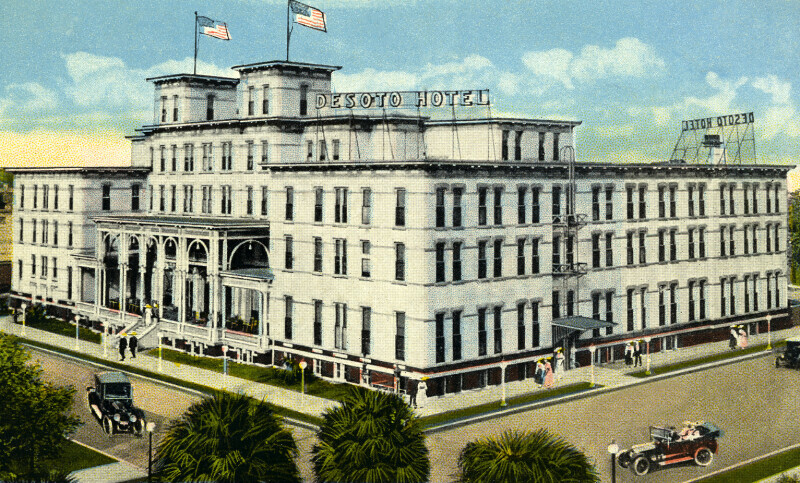 The De Soto Hotel is a large, white building that was constructed in 1892. On the Roof, two large signs show the hotel's name. On the streets outside the hotel, there are cars on the road, and people on the sidewalks. Streetlamps line the sidewalks around the building.